I absolutely love thrift stores. Don’t you? There’s something about digging through everything to find that one perfect deal or that one item that you’ve been looking to grab for a while to find something that you’ve wanted or needed for a while at a great price. Aside from the saving money part, thrift stores actually have a place in our society that I personally think we’d all be doing much worse without. They give us an outlet to help others while keeping our landfills from filling up quite as much. Secondhand stores really are an outlet for helping folks who may not be able to afford to buy something new (or who realize the true value of purchasing something used) and I’m sure there are plenty of people who would agree that a thrift store purchase has helped them out more than once. All of that aside, thrift stores can also be great for helping you to make extra income. 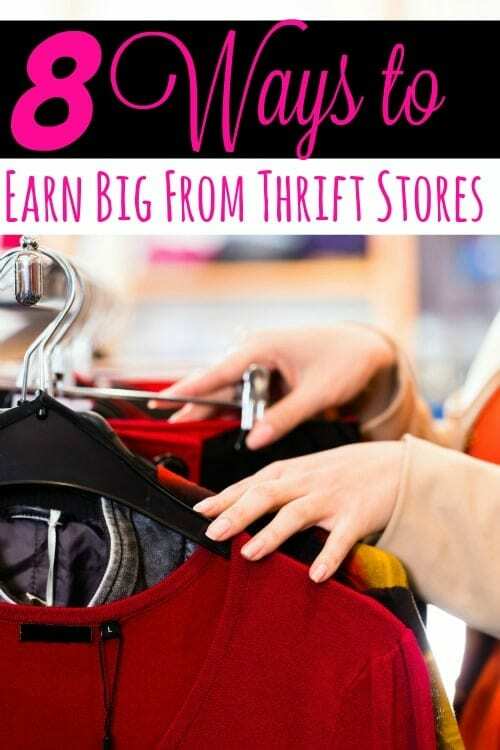 In fact, you can actually earn big from thrift store purchases if you know what you’re doing and reselling from thrift stores is a fantastic way to earn extra cash from home. Before you even try to earn money from thrift store purchases, you need to understand a couple of things. One, you’ll need to actually know how to find the best deals. I follow a very specific list of thrift store do’s and don’ts when I shop. Next, you’ll need to understand that not every buy that you make will earn you big. Like anything in a resale business, getting a deal for something and making a profit on it can and will be hit or miss. You’ll likely eventually sell everything you buy, but you may end up holding onto one or two items for a while. As an example? I once bought a Christmas decoration by a very well known company that I knew would be worth at least 4 times what I paid for it. While I did end up selling it for a nice profit, I still had to hold onto it for several months until the season was right. Was it worth it? Probably not when you consider just how long I had to store it. The second thing that you’ll need to know and this one comes with time is exactly what to buy for resale. There are certain things that I won’t touch because the chances of selling them are significantly lower than if I pass the item over and go for something else. I’ll talk about that more here in a few, but I wanted to mention it. If you go out and buy every little thing you can, you’re only going to find yourself losing money in the long run. Making money from thrift store purchases is actually fairly easy, but there are a few things you can do to help both yourself and your bottom line out. These 8 tips will help you increase your sales so that reselling thrift store buys is worth it for you. Know Where to Sell – Knowing where an item sells best is one of the biggest keys to reselling online. In fact, it can be the difference between making money and losing it. Ebay is always a great option, but in truth, some items sell better in other places. For instance, I’ve personally found that clothing sells better in local Facebook groups, on Swap.com or on ThredUp.com. For books, I sell on Ebay or Swap.com. DVD’s and games are the same. There are quite a few sites other than Ebay to sell online so be sure you do your research on where an item will do best at. Taking a few minutes to figure that out is better than having something listed somewhere for weeks where it won’t sell. If you absolutely come across something that you can not sell, consider donating it. Schoola is a great place to donate clothing and your local shelters will welcome things like household items, simple electronics and things of that nature. Another option is to create your own website or blog to showcase the items that you have for sale then list those items on your social media profile and groups (that allow it). 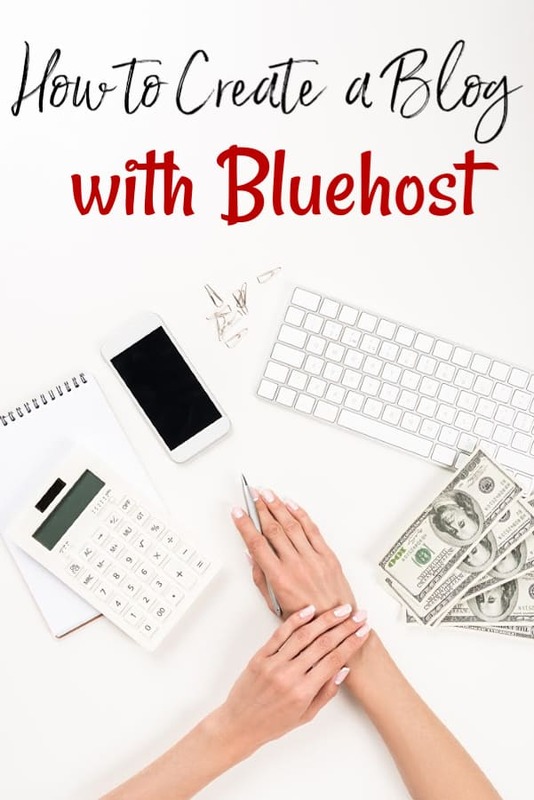 You can start a blog with Bluehost for only $3.95/mo and get a free domain name when you do. Once you’ve done that, I have a step-by-step tutorial that will walk you through how to start a blog on Bluehost to help you get started. Know What To Sell – Like I said earlier, this one comes with time, but knowing where you make your biggest profits at is something you’re going to want to figure out fast. For me, it’s video games, books and toys. For others, it’s clothing and for some, it might be dvd’s. Either way, having an idea of where you earn the most will not only save you the time wasted on an item that doesn’t sell but it will also save you the money you would have spent on that item. For clothing, make the free credits that you can score work for you. ThredUp offers a $10-$20 free credit to new accounts and Schoola offers a $20 credit to new buyers. In the past I’ve used these credits to buy handbags, shoes and more for resale. It may not be a huge savings, but it’s a small one and hey, any savings is a good one. Know What the Real Value is – If you’re serious about earning extra money by reselling thrift store finds, you’ll need to make sure that you know the value of the items you’re looking at buying. Otherwise, you could easily find yourself buying products that either won’t sell or will sell for less money than they’re worth. Finding how much something is worth is fairly easy for most items. One very quick way is to search completed Ebay auctions. You’ll be able to get an average sale price for completed auctions, but keep in mind that different selling areas will have different averages. Be Specific – When you’re listing the items you are selling, be specific about not only what you’re selling but every little detail you can possibly think of about the item. If you don’t, you’ll find yourself with buyers who are very likely to be unhappy. You’ll want to note everything that may be wrong with the item including (but certainly not limited to) rips, tears, stains, smells and so on. If you’re perfectly clear about what is wrong with an item, the buyer has no confusion on it when they buy. Light the Way – Another way to make sure you increase your sales is by making sure that your photos are well lit. Natural light is best, but if you can’t manage to get the right lighting, you can pick up photography lights for a fairly decent price. The best part is that since you’re making a home business out of reselling, those lights are now deductible provided you only use them for business purposes. Clean It Up – If an item you’re selling is dusty or dirty, be sure to give it a good cleaning. If it’s a piece of clothing, washing and drying it well should suffice. If it is a different item, washing it down with a damp cloth should work. For jewelry or other metals, you can easily clean silver and gold with common household items or you can just buy a commercial silver polish. I much prefer to use the more natural way of cleaning, however it really is a “to each his own” situation. One word about old coins. Those are the one item you do not want to clean. Cleaning them actually decreases their value. Shipping Queen (or King) – Once you do start selling things, make sure that you aren’t lazy with shipping. We live in a society of instant gratification so people want the items they pay for quickly. I try to keep my shipping times within 48 hours of a cleared payment. If something happens and you can’t make shipping on time, be sure that you always message or email the person who bought your item. Things do happen in life, but don’t make it a habit. Another way to help sell more items is by offering free shipping. Obviously you won’t want to do this on an item with a tight profit margin, but for larger items that sell for $100 or more, consider it. Feedback is Everything – In the world of online sales, feedback from customers is everything. Whether you’re selling in Facebook groups, on Ebay, on Amazon or Craigslist, how your customers feel about the item they bought and the buying experience as a whole can make or break a seller. Make absolutely certain that if you receive bad feedback or even neutral feedback that you do everything you can to resolve the situation that caused it. I know that starting a new business can be an incredibly scary thing, but the truth is? You can do it. You just have to have faith in yourself and push yourself through the bad times. Reselling has helped us through many times where money was tight and I’m absolutely positive it can do the same for you. Awesome article! 🙂 I use some of the same strategies as you for flipping thrift store items.